Friends always ask me how I’m able to travel so much. Last year I took 15 vacations, and stayed at hotels like the Miramonte in Palm Desert, and the Encore in Las Vegas. I’ve always loved to travel, but also have always been on a budget. I use a variety of tips and tricks to get the best room for the least amount of money, but recently my favorite tools has been Priceline. Priceline’s “Name Your Own Price” tool has allowed me to get great rooms for less. It’s simple, easy to use, and the process takes no longer than booking a trip the normal way. The “Name Your Own Price” tool isn’t for everyone. If you have your heart set on staying at a certain resort, this tool isn’t for you. However, if you are simply looking for a certain star rating or amenities, you’re set. You get a great room for a lower price. You don’t find out where you will stay until after payment has been made. 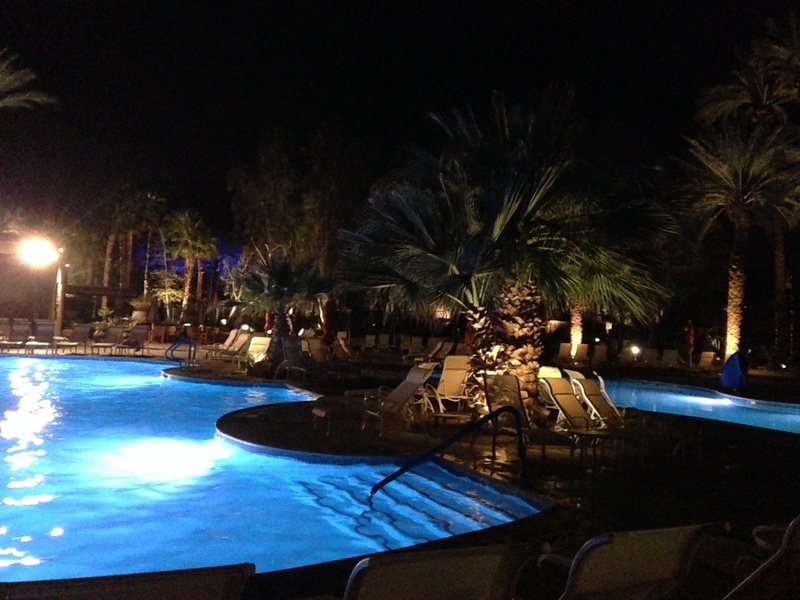 I stayed at the Hyatt Regency Indian Wells pictured below for just $90 a night. That price was a %54 savings over what other travelers paid even with the help of travel sites. It’s simple. Visit Priceline.com, and fill out your travel information as normal. Include your destination, check in and check out dates, number of rooms, click submit, and let the negotiator do his thing. A results page will be generated listing deals on hotels in the area. Two additional tabs appear. You can choose the “Name Your Own Price” tool or the “Express Deals” page. I prefer to name my own price, because you can often get better deals by going lower than the average rate. Once your on the right page, you will be asked to select a specific region in the location you selected. For example, if you are looking for a room in Las Vegas, it will ask you to select if you are interested in hotels located North of the Strip, South, near the convention center, etc. This helps Priceline get you closer to the attractions you want to be near. After selected the exact region, you will be asked to pick a star rating. By selected a star rating, you are choosing to be shown only hotels with that rating or higher. Once you’ve completed those details, you will be asked to name your own price. Priceline will provide you with the median price for that star rating. When naming my price I always choose an amount well below the median price. Remember the median price is generated by taking the highest price and subtracting the lowest price. It doesn’t mean that a hotel won’t go lower. When you have a price in mind, click “preview offer” and continue. You will be asked to enter your credit card information. Once you have confirmed everything, you will be redirected to the confirmation page. It is on this page where you will find out the name of the hotel. Worried about the type of room you’ll get? You can always upgrade at check in. Often times there are empty rooms when you check in. When checking in ask the agent if there are any free upgrades available. If there are any rooms with a view, and so on. If not they will always allow you to upgrade for a certain amount. You can also use the name your own price tool for rental cars and flights. Will you try the “Name Your Own Price” tool? Let us know!